A customer had prepared small amounts of novel products derived from ethylene oxide in laboratory studies, but needed larger quantities of these materials. 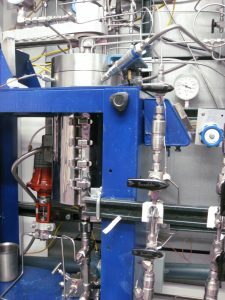 MATRIC installed a larger pressure reactor with process controls for safe operation. After thorough safety reviews, the reactor was successfully operated to prepare multiple samples on the kilogram scale.